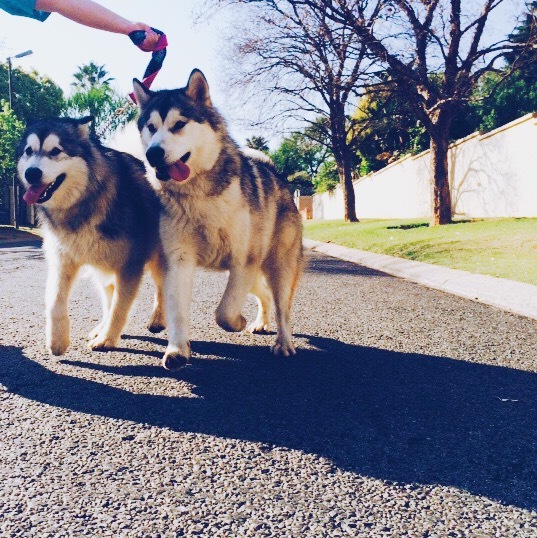 Dog Walker in Bryanston Johannesburg – Dulux and Belle, our favourite Alaskan Malamutes, were very eager to get going on their walk today! They couldn’t wait to get their leads on and show the streets what they’re made of! On the way, a lady stopped her car to admire the pack, including Ozzy and Roxy, and her children got to have a look at these lovely creatures. We then carried on our walk, up the hills of Fontainebleau, and there was some water from sprinklers the dogs could walk in. The dogs still had a lot of energy, so we decided to give them a bit of a run down one of the streets, which was a lot of fun. When we got back, they were much more relaxed and keen for a drink of water. Alaskan Malamutes will win you over with their playful, outgoing personalities. They greet everyone as a friend — even strangers and first-time house guests — so they don’t make very good watchdogs, but they are extremely loyal to their family and friends. Malamutes are pack animals, and they enjoy spending time with their human pack, insisting on being included in all activities that their family undertakes. They’re not big-time barkers, but they do howl and they’re known for making a characteristic “woo woo” sound. 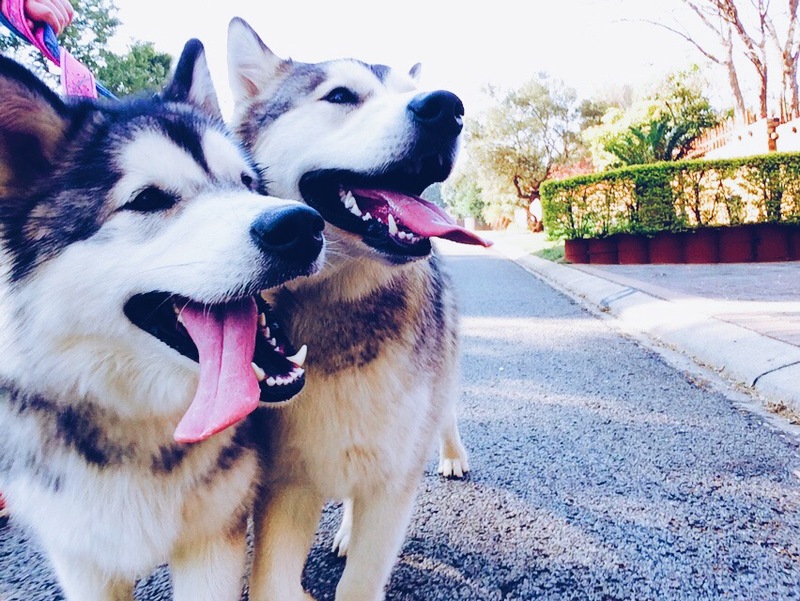 This entry was posted in Dog Walking and tagged #YourHound_SA, Alaskan Malamutes, animals, Bryanston, city streets, Dog walking, Early mornings, exercise, fit, Fontainebleau, fun, Gauteng, Happy Dogs, healthy, Joburg streets, Johannesburg, love, Pets, Socializing, South Africa, Sunny Johannesburg. Bookmark the permalink.